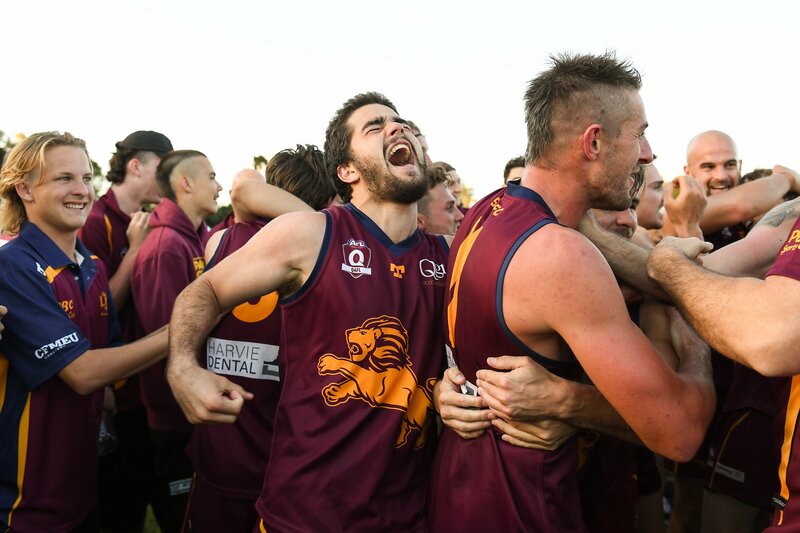 It was an overdue return to the winner’s circle for the Lion’s on the weekend at Salk Oval. 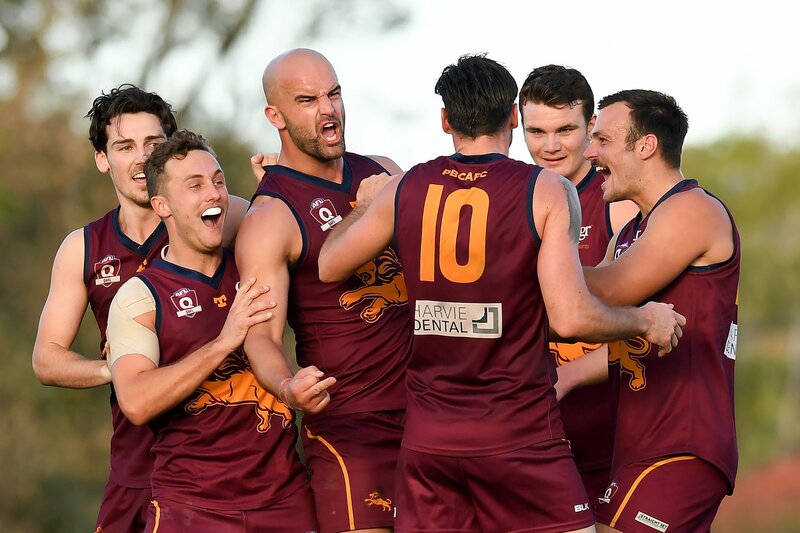 The Lion’s welcomed back skipper Jesse Derrick in style with a comprehensive win over Surfer’s Paradise, a team that has troubled the Lion’s in recent times. 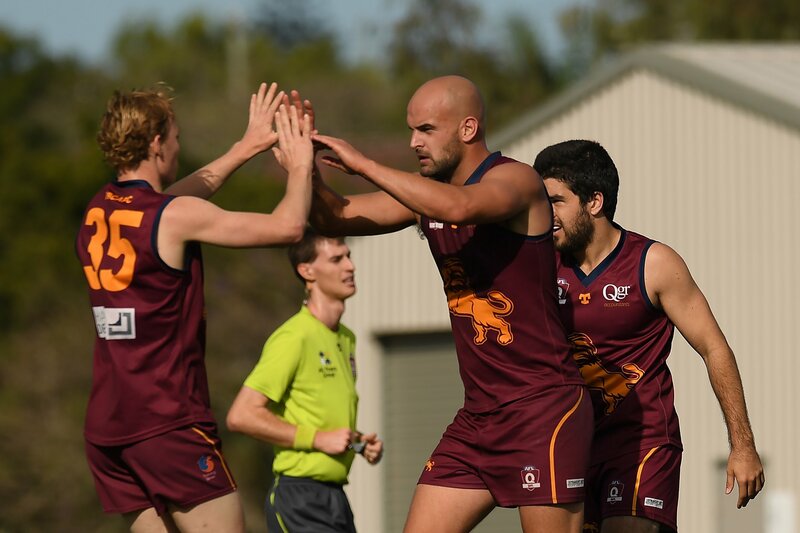 Good wins in the Reserves and Colts contributed to a solid day for the Lions. 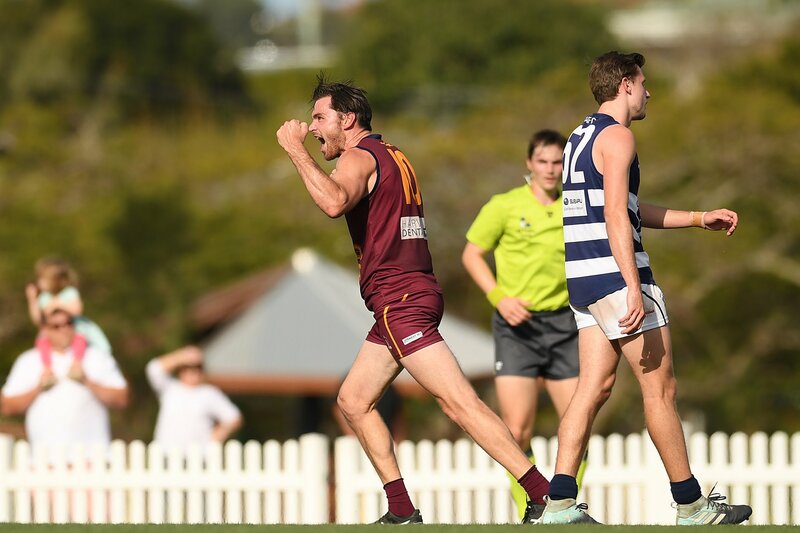 “Palm Beach celebrated having their skipper back, by getting back on the winners list in emphatic fashion, beating Surfers Paradise by 59 points. 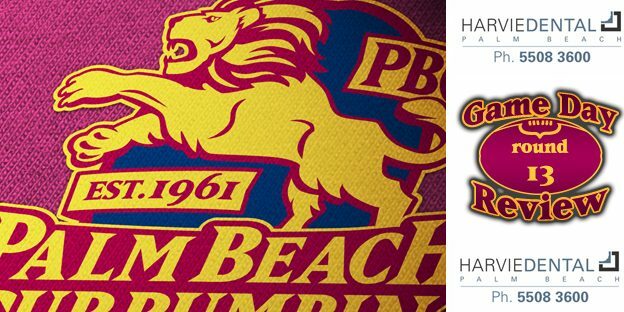 It was a broad field of contributors that set up Palm Beach’s dominance on the scoreboard. 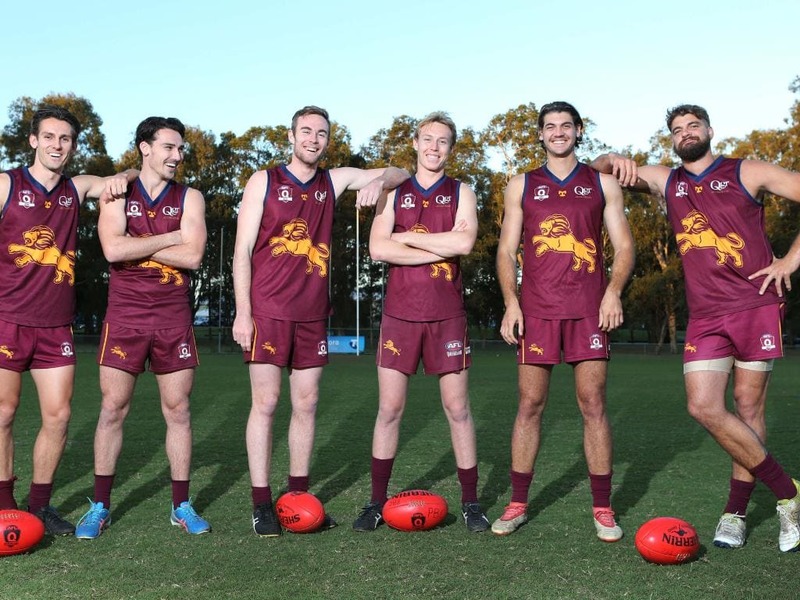 Jesse Derrick and Jason Burge worked hard around the packs, while Jake Dignan and Tyler Cornish played influential roles. 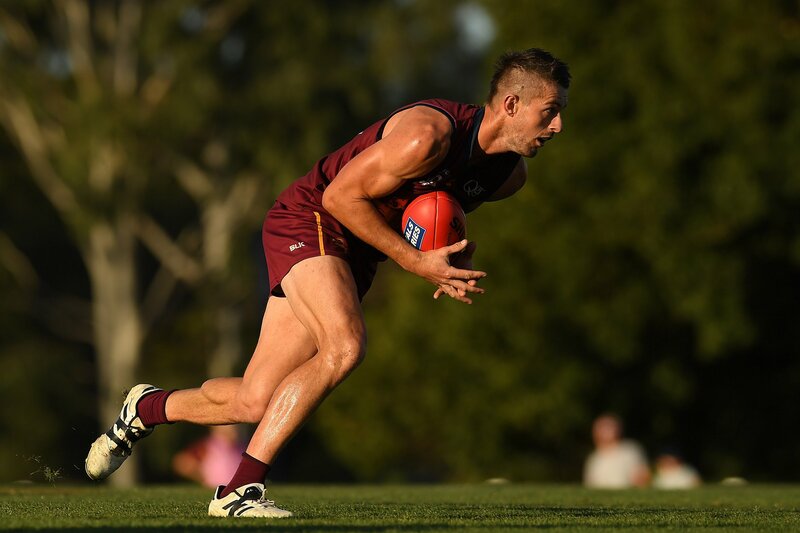 Jackson Emblem was important for the Lions, intercepting down back and kicking the ball with composure when he had it. Dylan Troutman also won his fair share of ball. 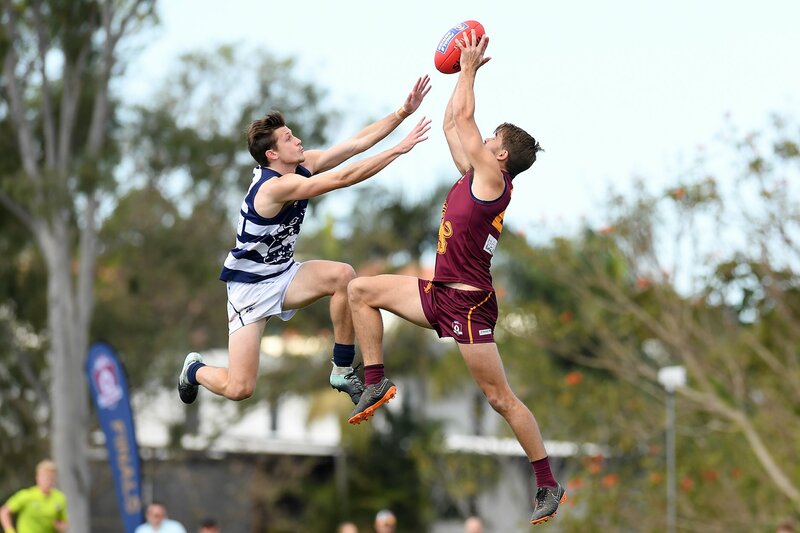 Surfers defender Brody Haberfield was again exceptional down back, showing why he’s in the top handful of defenders in the competition. 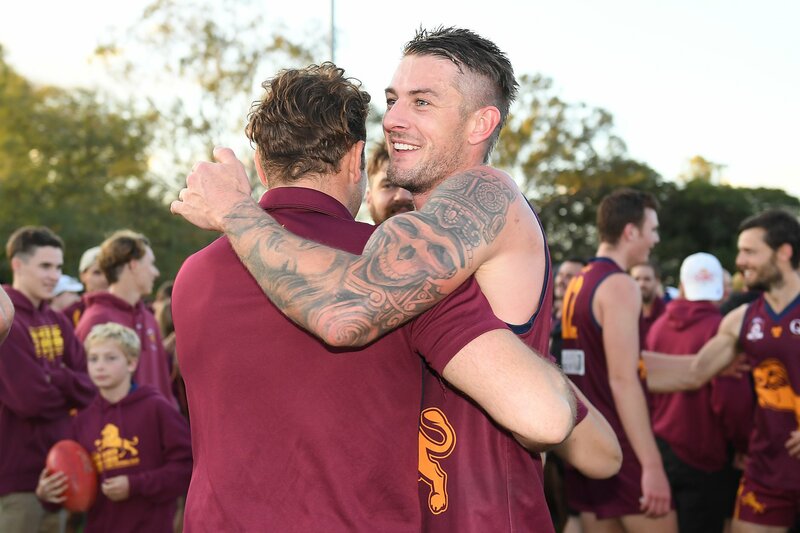 At the other end it was much the same for Daniel Green, who kicked three goals for the Demons. Harrison Fraser also worked hard around the ground and had some important touches. It was nice to return to the winners column on Saturday. We were after an aggressive and fast start and we got that. A 5 goal to 1 first quarter help to set the game up. Our attack on the ball was very good and our running game was built from there. The focus all week had been those 2 areas and we did that well to put the opposition on the back foot. In the 2nd quarter we put another 7 goals to 2 on the board to open up a 9 goal half time advantage. The defenders were spoiling and rebounding well and giving the mids plenty of ball to work with. The forward line pressure was at the level we expect and it proved to be the difference with goals coming from those pressure acts. We had winners all over the ground and when everyone plays their role it makes it easier for the team to play well. 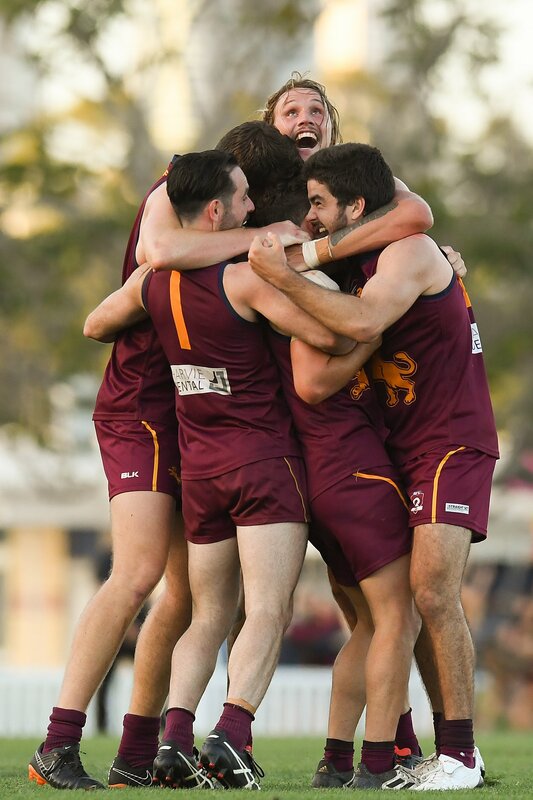 The second quarter saw many highlight for goal of the year with Jake Dignan, Lachie Ritchie and John Macansh all putting their hands up. In the last quarter Curtis Marsden went for a big run and kicked one a from centre clearance. 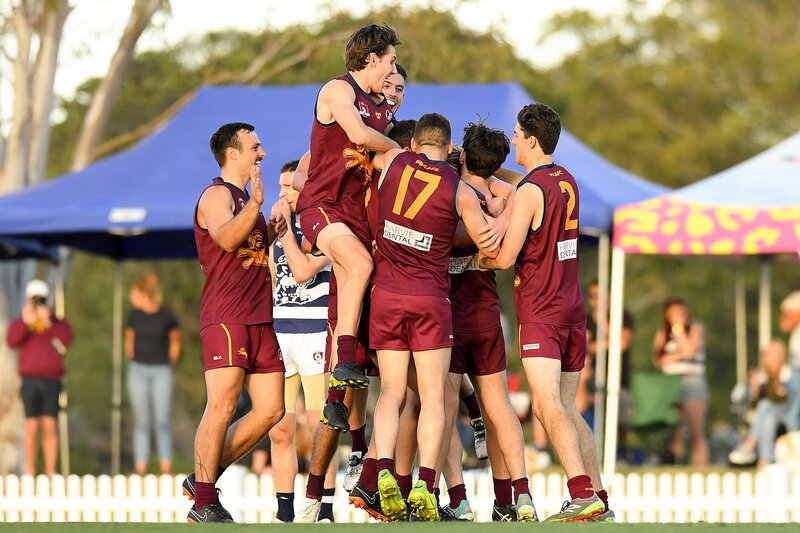 Jackson Emblem, Liam McNeven and Dylan Troutman were at their best down back and the midfield worked overtime. 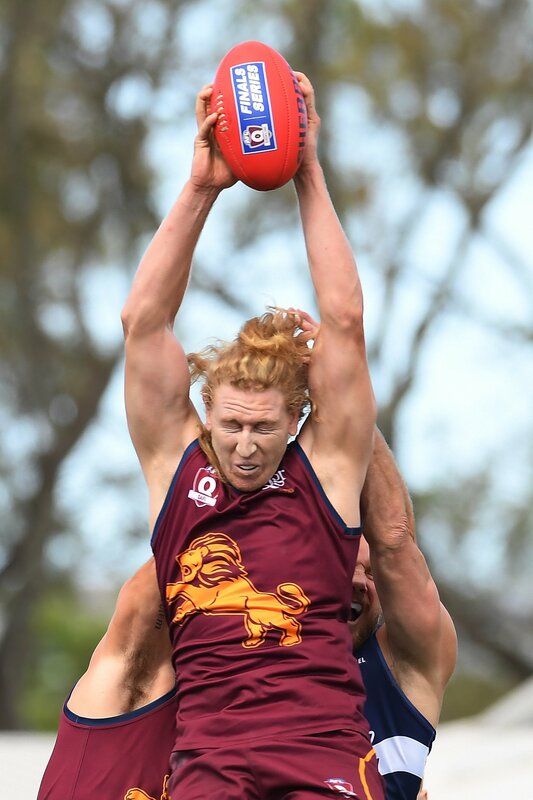 The forwards were well served by Ben Headland, Lachie Ritchie and John Macansh which gave more avenues to goal. This week we take on Wilston Grange and it would be great to see everyone there. Back at home against Surfer’s, the boys came out to play from the start. 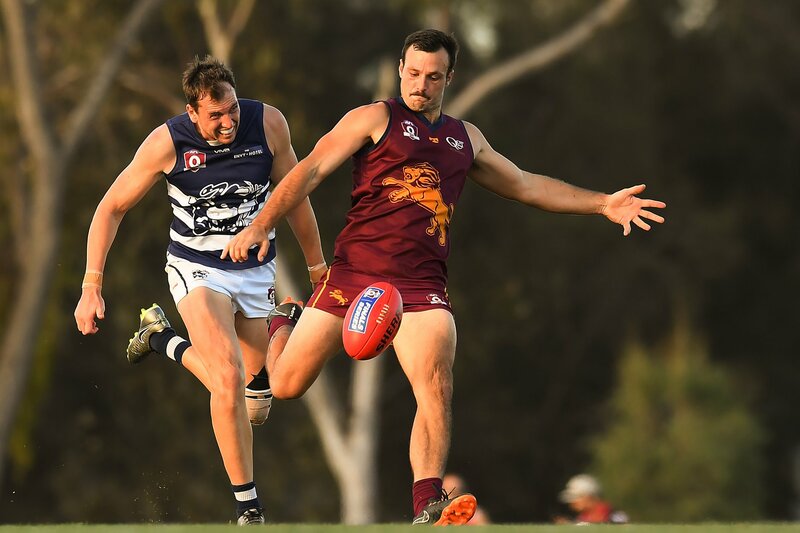 In a scintillating display of offensive footy we had 9 goals on the board by quarter time with Brad McDonald in his return from a long term hammy injury kicking 5 of them. 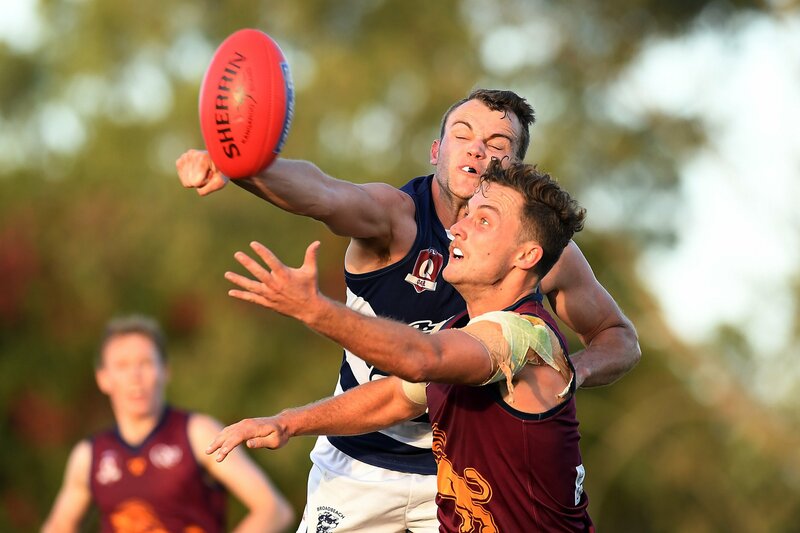 The boys showed great professionalism to keep up the intensity and scoreboard pressure throughout the second and third term before easing up in the last to record a massive 140 point win. Great focus was placed on defending the middle from both halves of the ground and we were very good in this area. Our switches and transition from down back were done with great speed and set up many scoring opportunities. Both Luke Marshall and Blake Schneider were terrific in setting up our offensive moves from the back half and we also improved greatly in our set ups at the contests, another area that the team is working hard on. With the win achieved, we have now moved into outright third, replacing Wilston Grange who we face at home this week. A win this Saturday will just about sew up the double chance so let’s aim up again boys. Another job well done against Surfer’s! 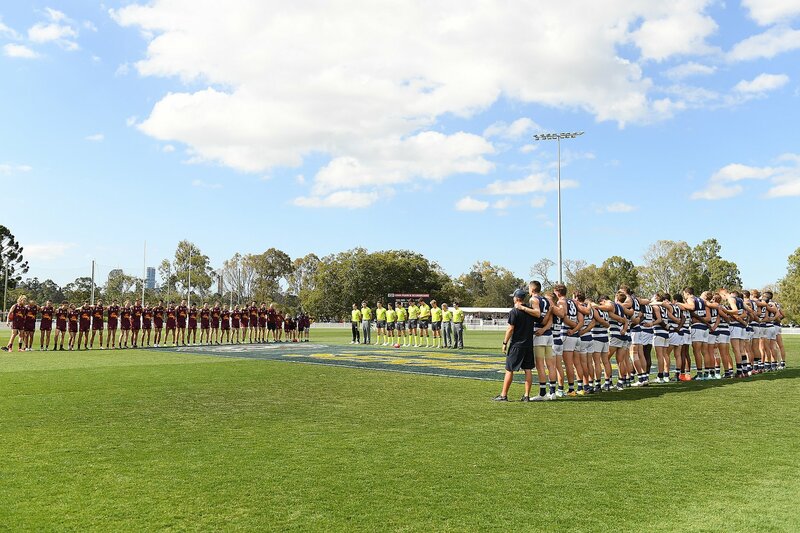 Last time we played Surfers Paradise, we had a convincing win of 101 points. It was going to be an interesting match after hearing they had a few key players back and we had 7 key players out. Once again relying on under 16 players to back up for us after playing Friday Night to help us field a team. Thank you to Luke Francis and Jed Melzer for playing. 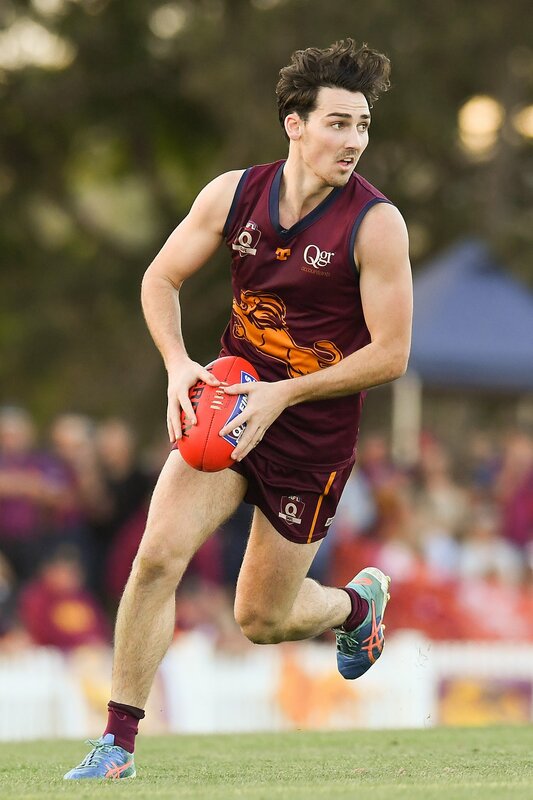 We welcome back Aaron Ashby after being sideline with concussion for 4 weeks and Kieran Bucknell for his first game for the season after breaking his arm. After a good week of training we thought the boys would bring the intensity and the style of football we played last week into this game. Unfortunately, we didn’t, Surfer’s really pushed us in the first quarter. Going into the first break with a 1 goal advantage, the boys new they better start playing the quality of football we expect or today could be the second time this season we lose to the bottom team. Second quarter was a hard fought battle. Both teams desperate to embrace their dominance on the game. Lucky for us Surfer’s wasn’t accurate in front of goal kicking 5 behinds for the quarter, while we added 1 goal 5 behinds ourselves. Hunter Hall clearly showing his impact on the game, which resulted in him getting tagged around the stoppages. Going into the half time break we increased our margin to 12 points. We knew that Surfer’s was going to throw everything at us in the third quarter so we had to start strong. 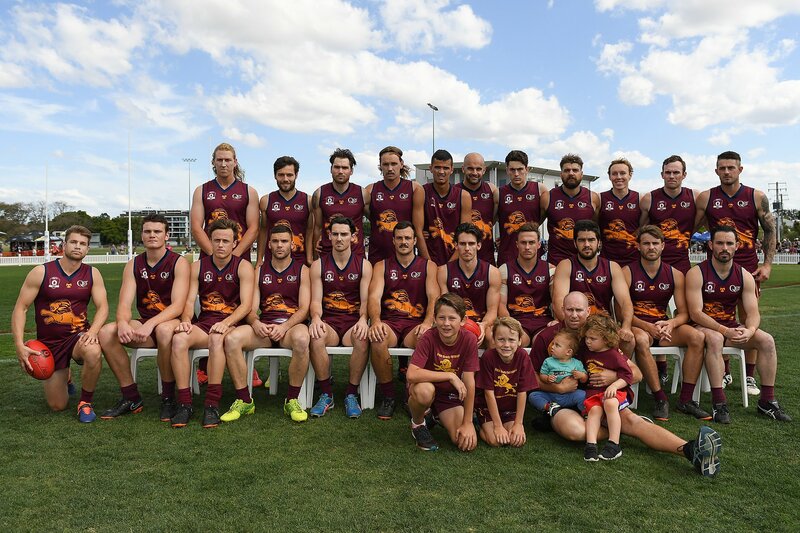 Which the boys did kicking 2 goals to Surfer’s 1. Dean Katsiris was moved up forward and Jeremy Jago went down back to help control the defensive side of our game. Ben Stubbs was giving us terrific options up forward as well as a key driving force with Hunter Hall in the middle. 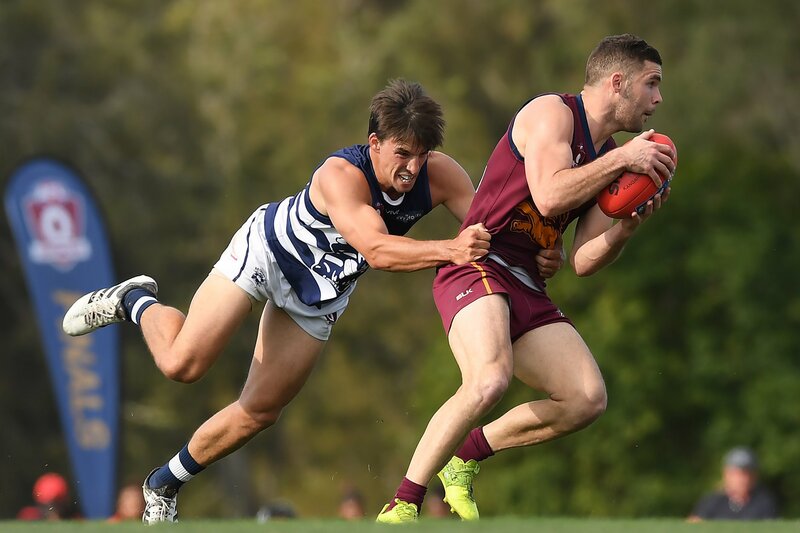 Kieran Bucknell was fierce at the ball supplying tackle pressure along with Billy McAlister. 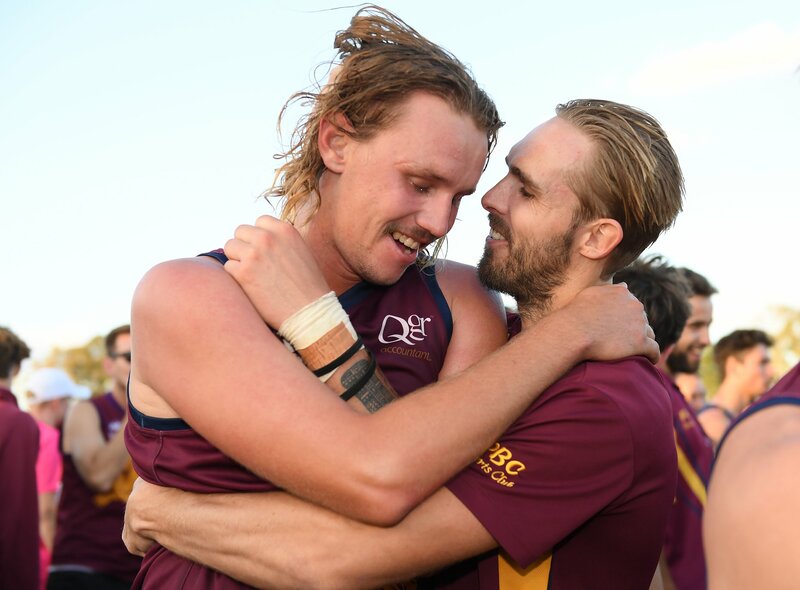 Going into the last quarter with a 3-goal lead wasn’t enough to take Surfer’s easy. 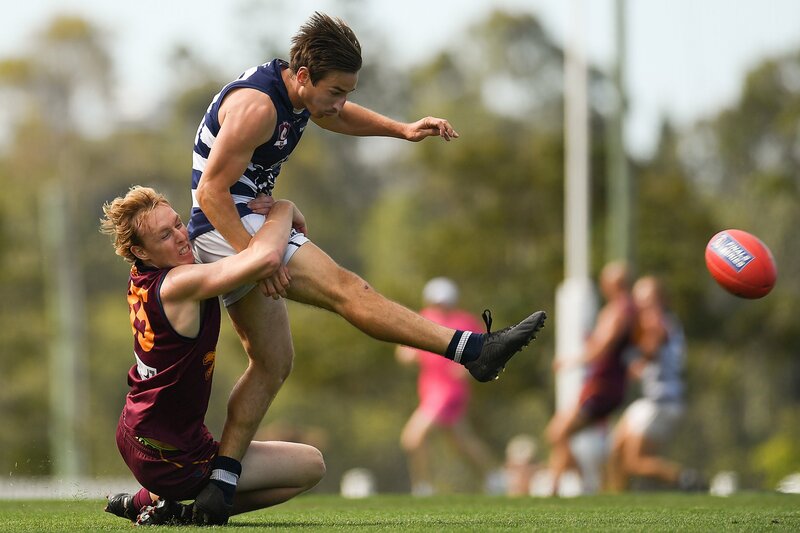 Hayden Hoskins played his best quarter in defence for us this week, reading the play well and out marking Surfer’s key forwards. 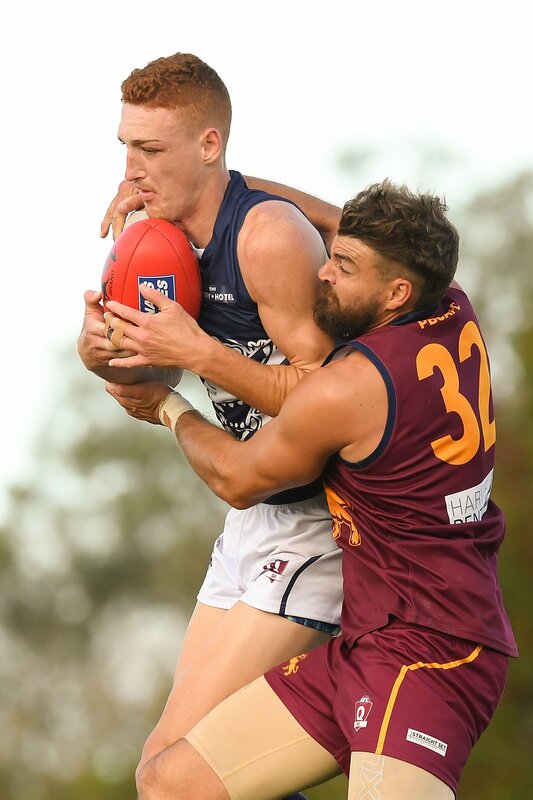 Jared Neuhaus was again a power force in ruck provide Hunter Hall and Ben Stubbs quality taps to drive the ball deep into our forward line, allowing us to run out the game 34 points victors. The next two weeks are vital games to see how the final 5 will be shaped. It’s a tight competition with Morningside on top with 36 points and 4 other teams equal on 32 points. We should have 4 players back from injury next week to take on Wilston Grange who is playing some good football of late.